Gillian Anderson, widely known in her role as FBI agent Dana Scully in the worldwide phenomenon sci-fi television series “X-Files” stars anew in the upcoming action adventure “Robot Overlords” where space robots descend to earth to take over directed by Jon Wright. “Robot Overlords” premises and promises a whole lot of action adventure set in a futuristic world where kids become heroes who fight against the gargantuan robots that took control of the earth. Anderson stars as Kate who have kids living with her in a world run by robots who soon break out in search of a father who’s gone missing. Humans have been confined in their houses after the earth has been conquered by robots from a distant galaxy, the survivors are forced to wear electronic implants for total control of the world. Trapped in their houses and living in a present where a bleak future awaits, the quartet of kids led by Sean Flynn (Callan McAuliffe) set out to find his father after discovering a way to disable the tracking device that holds them imprisoned in their house. In their Robot occupied country, where city centres are devastated, the kids must face a series of challenges that includes intimidating Sentries that patrol the streets, Snipers that are merciless death machines, the Mediator that deceptively childlike but unnervingly coercive and the Cube, a massive mother-ship that dominates the horizon. 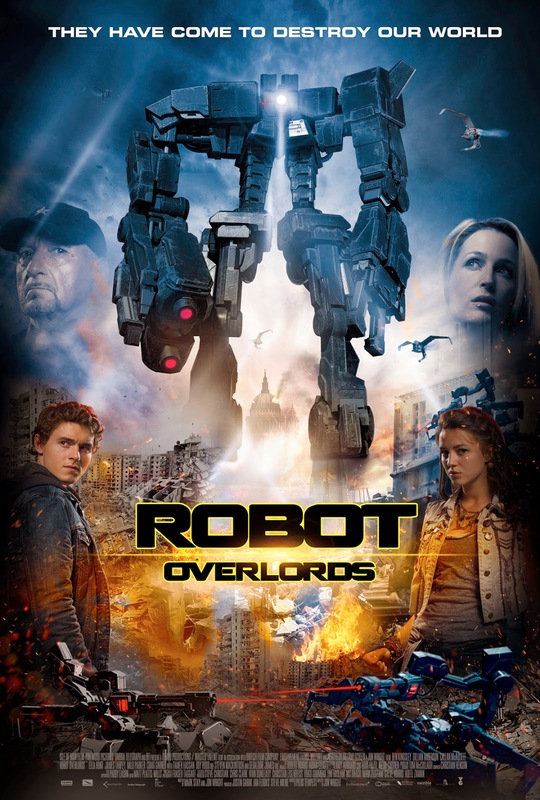 “Robot Overlords” also stars Sir Ben Kingsley, Ella Hunt, James Tarpey, Milo Parker, Steven Mackintosh, Geraldine James, Tamer Hassan and Roy Hudd. “Robot Overlords” opens this March 25 in theatres nationwide from Pioneer Films.